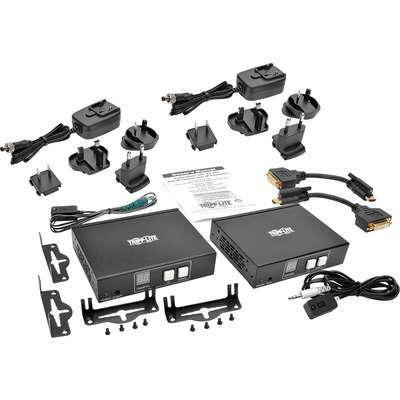 The B160-101-HDSI HDMI/DVI Audio/Video with RS-232 Serial and IR Control over IP Extender Kit extends and distributes HDMI or DVI audio/video, RS-232 serial and IR (infrared) remote signals through a dedicated Ethernet network switch located up to 328 feet (100 m) from the transmitter. With an additional 328 feet between the switch and the receiver, the maximum distance from source to display is 656 feet (200 m). You can also directly connect the transmitter and receiver up to 328 feet apart with Cat5/Cat6 cabling. The B160-101-HDSI is designed for managed network switches with IGMP, which allow login and remote management via switch interface. 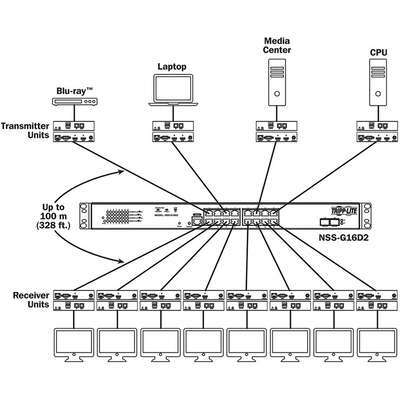 You can connect up to 64 transmitters and 255 receivers in a single managed switch installation. The B160-101-HDSI supports video resolutions up to 1920 x 1080 (1080p) at 60 Hz. 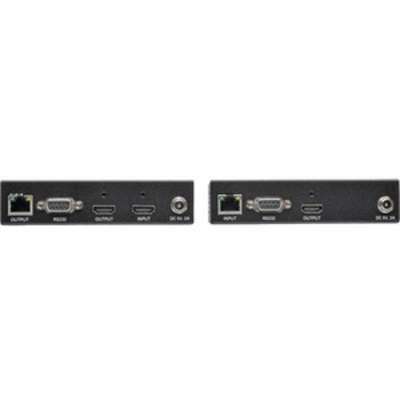 In a point-to-multipoint switch installation, you can send the HDMI or DVI video source (a DVI adapter cable is included) to any analog or digital display, including VGA and DisplayPort™. It extends IR control signals that control a source, such as a Blu-ray™ player, from a remote display, as well as RS-232 signals at serial baud rates up to 57600 Bps.